August 18 afternoon, Rong Bao Zhai (Shanghai) in Platinum Bay Plaza held "extraterritorial left Jane nineteenth century European antique furniture and accessories Appreciation Conference Welcome Reception Christopher Mr Penn," The exhibition presents from France, Britain and Germany royal style antique furniture and decorative arts of ninety-nine (or group), many of them circulated in Europe orderly Famous extraordinary origins. Rong Bao Zhai (Shanghai) is one of the guests invited antique furniture from Europe internationally recognized authority in the field of Christopher Mr Penn (Christopher Payne), the Paine China for a five-day academic visit, and there is interested in all walks of life to explore. 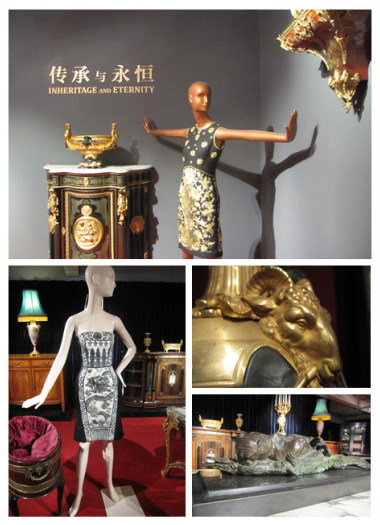 Visit to China, not only with domestic experts in the field of Chinese classical furniture and European antique furniture aspects of academic exchanges, and he will be a valuable experience and wealth to domestic collectors crowd interpretations of classical European furniture culture and collection value. To attend the event, another VIP is a world famous watch expert Alastair Chandler (Alastair Chandler) President. Christie's auction house in watches department, Mr. Chandler was the only one of two world-class experts. During his tenure, participated in Christie's 2008's most prestigious auction - Japan Tokyo Nezu Art Museum Qing imperial possession watches identification and organization of this, that auction results illustrious, a record high, is a Sino-British bell Auction unprecedented glory. Mr. Chandler regularly for major London auction houses worldwide collectors as a consultant, and he is a British Broadcasting Corporation television program "Antiques on the road" watch expert for famous watchmaker member and longstanding member of the British Institute of watches. "Inheritance and eternal" - Guo Pei Haute fashion with European antique furniture, art exhibitions at 6months 14 days in Beijing 751 Fashion Fashion Design Plaza cloister Session held open to the media.Activities static exhibitions, thematic explanation, commentary live exhibits, the free form of the interview, to show European antique furniture and China advanced customization of the dialogue. Here, not just a gluttonous feast of beauty, it is an art of listening to the dialogue, culture across time and space, cross-regional dialogue. A work of art have become masterpieces, is in his own time reflects the creators of the natural, historical, social thinking and creating culture. In this art exhibition, you can enjoy the 17 century and 18century furniture art, while still able to feel when the state of human life as well as a blend of Chinese and Western art and culture. Louis XV style design with the perfect combination of Chinese painting, the integration of Chinese and Western cultures interpretation; gilt carved sphinx statues, tells Royal style and dignity; treated as a wedding gift, inheritance of three generations of East India satinwood drawers, interpretation of the story of a family; from the hands of the European masters of fine furniture, side cabinet, tells its former glory. Built from pure hand-embroidered pieces of costumes, through dialogue with antique furniture, reflecting the passion of Western art and culture collision and fusion. European royal furniture pieces for the first time in the country watches the show, after centuries of ups and downs, you can still see the former glory. Antique furniture connoisseur "Downton Manor" furniture art director Christopher Payne, antique clocks connoisseur Alastair Chandler with the famous fashion designer Guo Pei, the scene about antique furniture and exquisite costumes clocks behind moving story. Is China's first one and only one recognized by the world's senior designer. In the 26 years of design career, she promoted the Chinese fashion "birth", and become China's most authoritative senior fashion artist. Guo Pei in her haute couture works freely to express her own understanding of beauty, imagination and creativity, demonstrating the ultimate perfection and humbling charm. Guo Pei's work to help Chinese people understand fashion, more help to help the world understand China. "I love high fashion, because she was docked a life she did not simply popular garments, and then promptly forgotten quickly and I hope I become a high fashion boutique collection level, Chanticleer's treasures, become handed down masterpiece. Because true haute couture to the good old, tried and tested. Years later, her presence is the time of the Review. By that time, she was able to reproduce the lost glory and residual light, I was able to re-interpretation have been happy, and I had created a better. " Alastair Chandler childhood fascination for watches, watchmaker's identity after graduate school in the UK watch watch making and research. Graduated with honors from the famous Edward James Foundation, West Dean College to continue their studies, learning watch repair and maintenance. Since then, his career ranged from repairing fine watches, antique clocks and repair special. But most as a consultant, expert buyers and repair services in the UK and worldwide collectors. Christie's auction house in watches department, Alastair was one of only two world-class experts. During his tenure, Christie participated in 2008 in the most prestigious address Auction - Nezu Art Museum, Tokyo, Japan Qing imperial possession of watches. The auction results illustrious, auction turnover hit a record high, is a Sino-British clock auction unprecedented glory.Alastair regularly for major London auction houses worldwide collectors as a consultant, and he is a British Broadcasting Corporation television program "Antiques Roadshow Jane sets (Antiques Roadshow)" watch expert for famous watchmaker and a member of the British Watch long-term member of the London Institute . Christopher Payne in European antique furniture and decorative arts is an internationally recognized expert. He is a writer, lecturer anchors and other staff, has over 40 years of experience on from 1830 to 1930the evolution of European furniture research and development has been at the forefront, and a number of ground-breaking results. Hence his name became a classical furniture field excellence synonymous with excellence and integrity and sincerity. Christopher is a member of the Council furniture Historical Society, whose members include the United Kingdom and from around the world academics and researchers, many of them were positive contributors publications of the Association and to Participate in activities organized by the Association. Christopher Often Give lectures students and Focus group Members introduce each historical period furniture, attended or hosted Seminars and related meetings. Regularly He presided over the British Broadcasting Corporation (BBC) introduced "Antique Roadshow Jane sets (Antiques Roadshow)", "antique treasures Inspector (Antiques Inspectors)", "odd antique hunting Tycoon (The Great Antiques Hunt)" and other programs. He also private mansion and restoration of historic buildings continue to provide consulting services. As home decoration art director for the British TV series "Downton Manor" (Downton Abbey) arranged scenes. My physics teacher got me hooked. He had been a watchmaker and after seeing his work, I enrolled in a course at the University of Central England to study the art of watchmaking and then the post graduate restoration and conservation course at West Dean College. I later became a clock specialist at Christie's before going freelance. What do you specialise in and why? I tend to specialise more on clocks and am particularly partial to carriage clocks. I have always found them fascinating as the movement is generally on display and they come in several case styles. My favorites have been by Breguet, Paul Garnier, Charles Frodsham, Dent and Thomas Cole. What has been your most surprising find? I was called to look at a collection of over 130 clocks, most of which had been bought from major London salerooms and were by well renowned makers. To find such a good untouched collection that’s been out of circulation for so long is rare. Seeing a project through from beginning to end – the discovery, research and restoration of an item can be very satisfying.